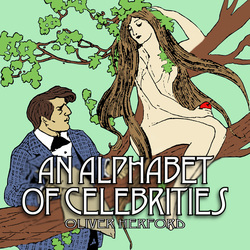 Each illustration in An Alphabet of Celebrities by Oliver Herford features up to five famous fictional or historical faces. 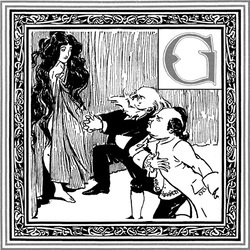 Though each charming illustration of celebrities is accompanied by alliterative lines that may allude to their identities, the celebrities of 1900 are not always obvious to modern readers. 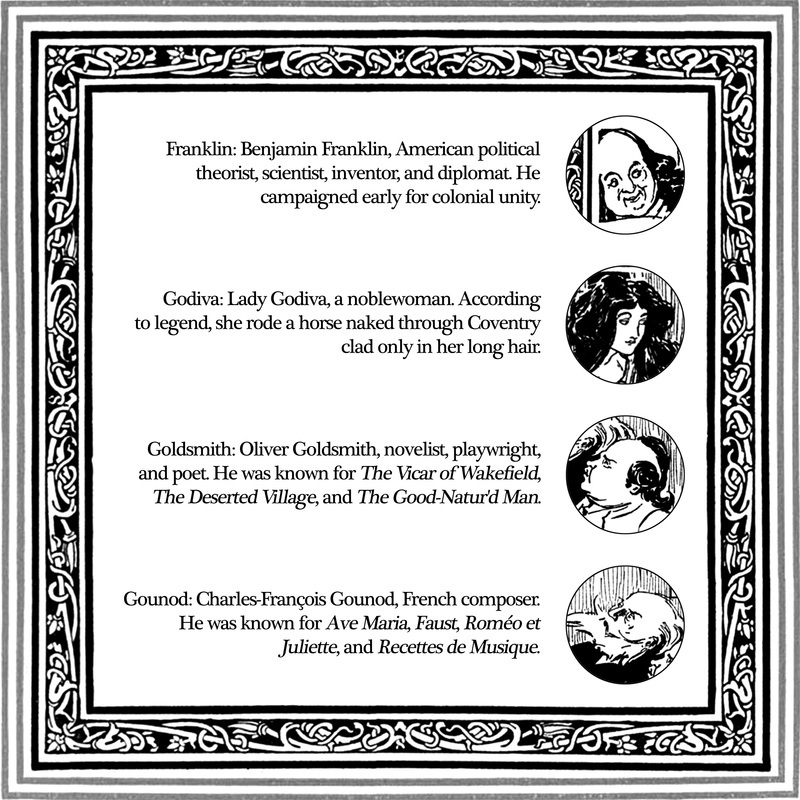 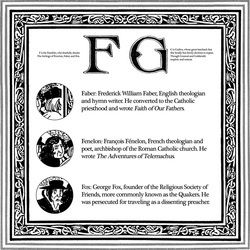 This edition features a complete illustrated biographical index and glossary. 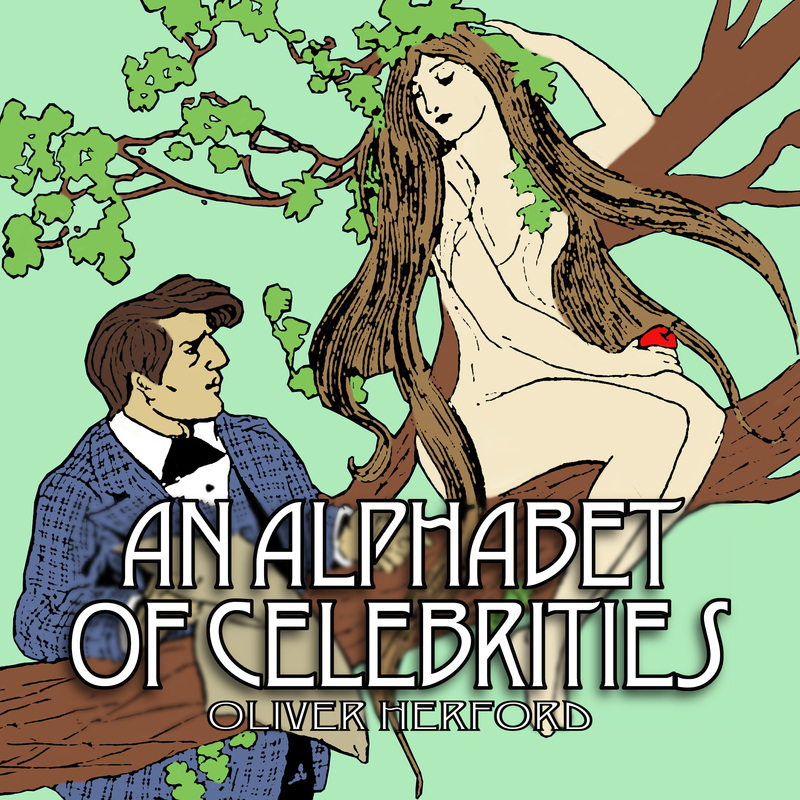 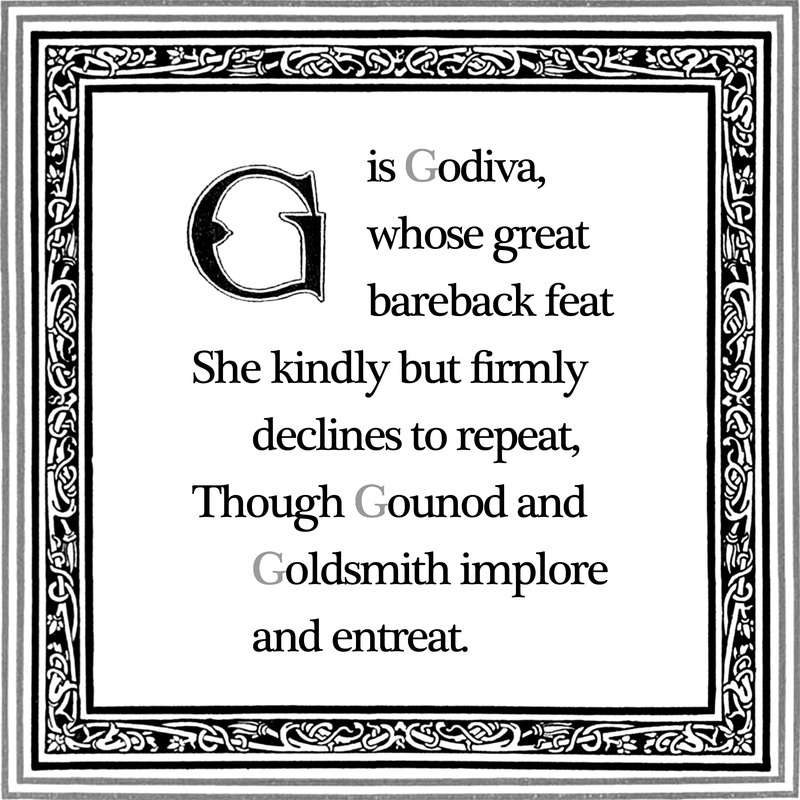 Well known for his poetry and caricatures, Oliver Herford lends his talents to An Alphabet of Celebrities. 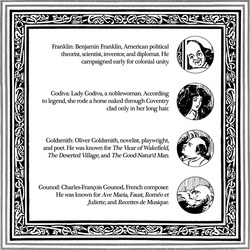 Each illustration features up to five famous faces, fictional or historical, from the beginning of time through 1900. 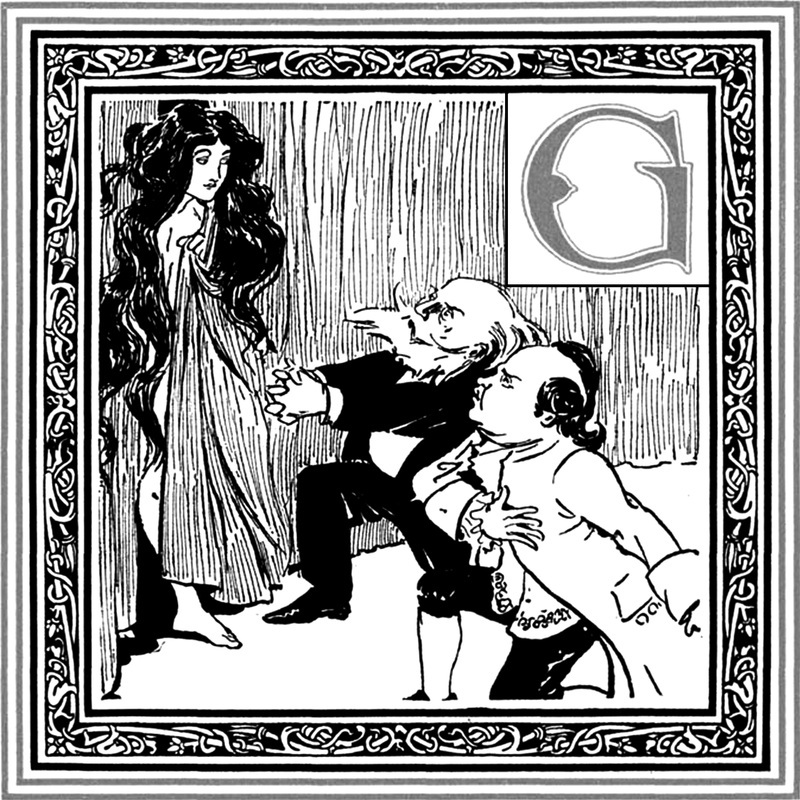 Though each charming illustration of celebrities is accompanied by alliterative lines that may allude to their identities, the celebrities of 1900 are not always obvious to modern readers. 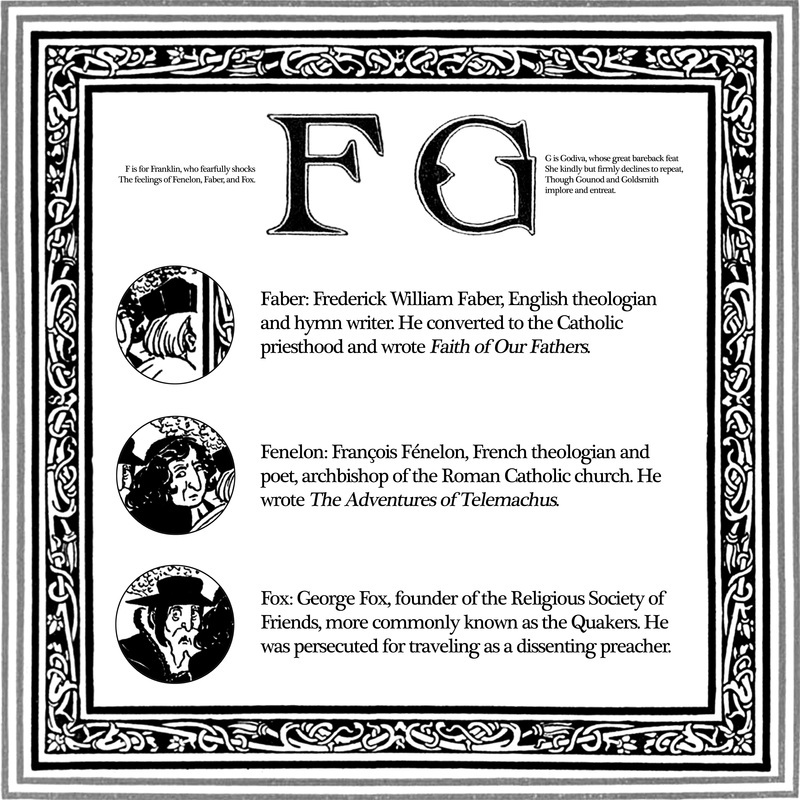 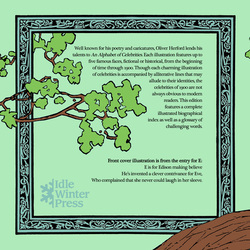 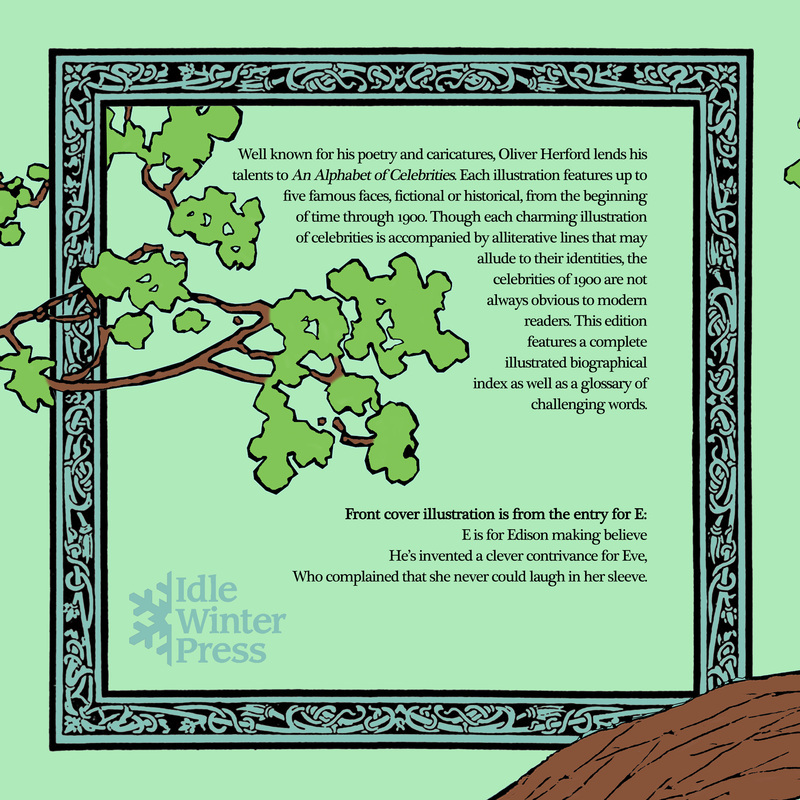 This edition features a complete illustrated biographical index as well as a glossary of challenging words. 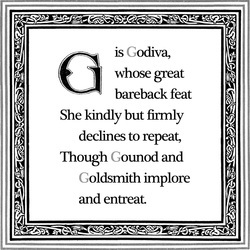 Who complained that she never could laugh in her sleeve.